Edited on March 28th, 2011 at 12.21pm. 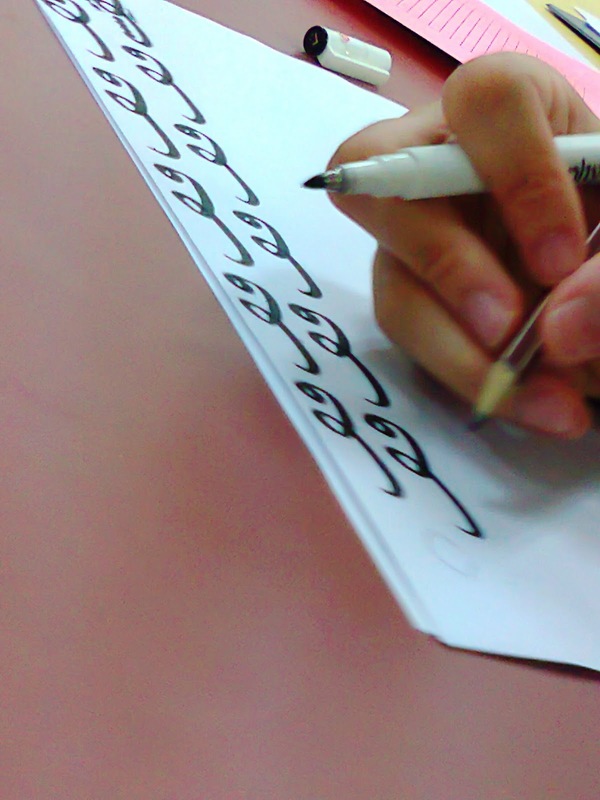 Training and development bureau of MRC talhah has taken the initiative to organize an Islamic calligraphy (Khat) class for the students of IIUM Kuantan Campus, particularly for the residents of Mahallah Talhah. This program is in parallel with the mission and vision of TnD bureau that is to produce graduates and generations who are well versed in many aspects especially concerning skills and human resources, in answering the call of one of IIUM’s mission and vision which is to nurture the quality of holistic excellence which is imbued with Islamic moral-spiritual values, in the process of learning, teaching, research, consultancy, publication, administration and student life. In connection with that, on the 26th of January 2011, TnD bureau had started the Islamic calligraphy (khat) class for semester 2011/2012 at Kulliyah of medicine. 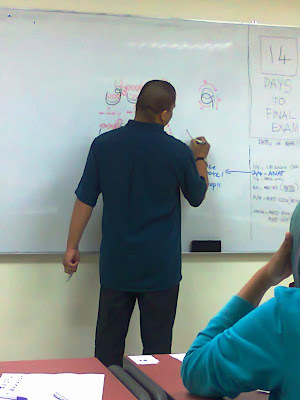 The instructor was a 2nd year Biomedical Student student from Kulliyah of Science, brother Azri Hilmi Mansor. 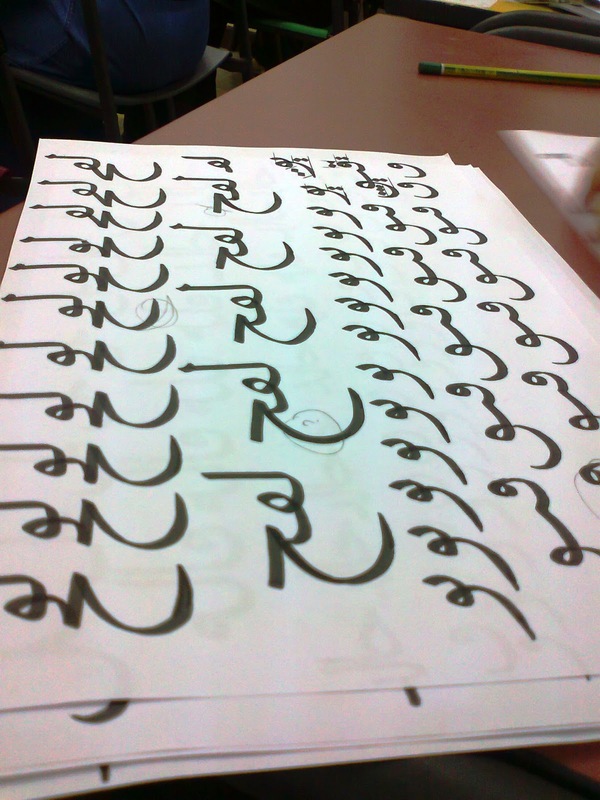 This calligraphy class was decided to be held every Monday and Thursday from 9pm until 11pm, taking up lessons from Naskh style calligraphy. 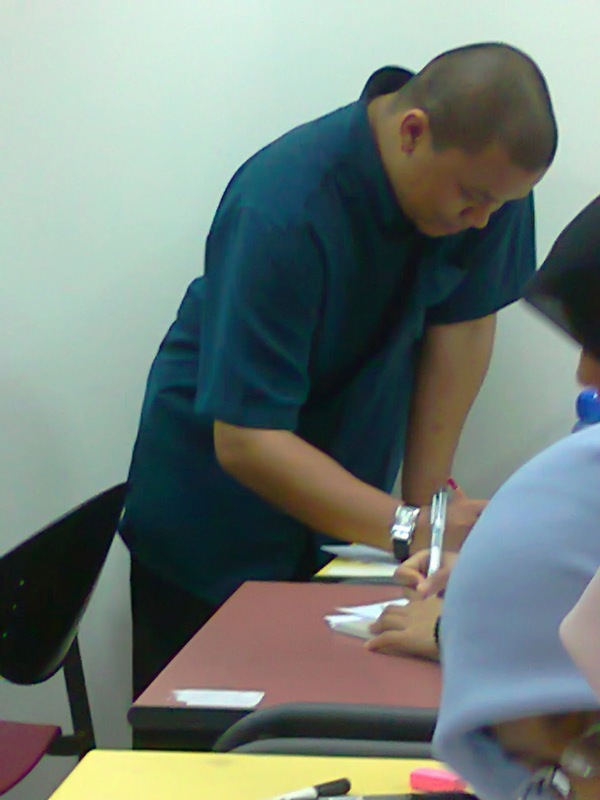 The registered students were as many as 30 and out of that much students, 15 gave full commitment throughout the lesson. The participated students were supplied with a calligraphy pen and A4 papers. The method of learning was such that the instructor taught by presentations and drawing of the calligraphy on white board for the students to copy and draw on their own papers which were later checked and revised by the instructor. Some of the feedbacks and comments given were supply of books or reference materials for the students, making the class lively with videos and presentations on calligraphy, exhibitions of the art works of the students, and the opportunity for the students to beautify the praying halls (surau) and the precinct in IIUM Kuantan Campus with the art of Islamic Calligraphy (khat).